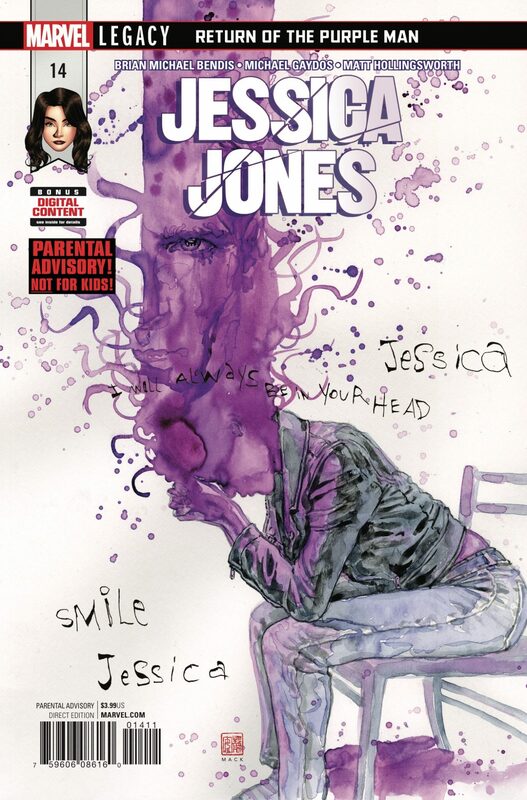 Brian Michael Bendis hand-picked a writer to take over 'Jessica Jones', and she's "amazing" – AiPT! Brian Michael Bendis hand-picked a writer to take over 'Jessica Jones', and she's "amazing"
As writer Brian Michael Bendis prepares for the next stage of his career, fans of his excellent ongoing Marvel series such as The Defenders and Jessica Jones are left wondering what will come of them. though I will be relinquishing control next month I have been assured by my friends at marvel that miles, riri, Jessica and all the satellite characters around them will continue in fine marvel fashion. truth told I was already leaving Jessica after purple, for a marvel project that is sadly no longer, and had already picked my replacement. she is amazing. I will not be updating you on marvel’s plans here as it is theirs to announce and certainly not my place. but do not take that as anything but me respecting the process. I am so happy for all m’babies next evolution.